Sedation dentistry involves the administration of drugs (medications) that calm patients creating a drowsy, sleep-like state. It is important to understand that you are NOT asleep for sedation dentistry. A dentist is required to receive two days of additional training when administering pills orally. Intravenous (IV) Sedation requires at least 60 hours of training or a dentist can be trained as part of a residency program. The method of sedation can be achieved by administrating oral medications, intravenous medications, or Nitrous Oxide “laughing gas”. 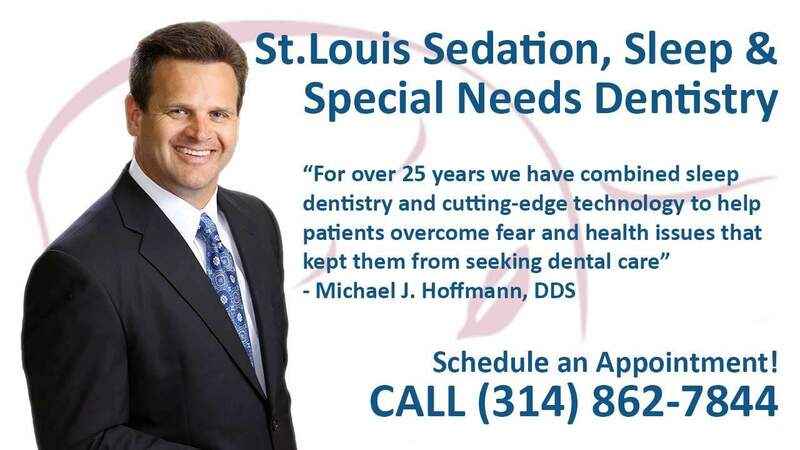 Using the lightest level of sedation is minimal sedation. It involves a mild sedative, such as a Valium-like medication or Nitrous Oxide (laughing gas.) This kind of sedation requires no additional training for the dentist. When you come in for your appointment Dr. Hoffmann, Dr. Thoms, or Dr. Daugherty will decide which level is best for you. We look forward to meeting you. 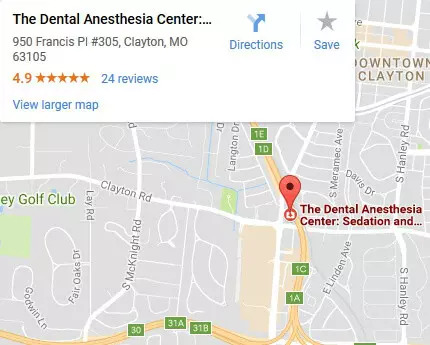 Call us at (314) 862-7844 and one of our friendly team members will be happy to speak with you or simply make an appointment online. Fear and Anxiety: Nearly half of the people with dental problems avoid dental care because of their fears and anxiety. Modern, safe anesthesia techniques allow the fearful patient to have dental procedures accomplished without the anxiety associated with dentistry. Low Pain Threshold: People perceive pain differently. Some individuals have difficulty getting numb. With general anesthesia and sedation techniques, the perception of pain can be altered. Patients can be virtually pain-free during treatment. Sensitive Gag Reflex: Some patients may suffer from a severe gag reflex and are unable to have dental care completed with the use of local anesthetic. Using anesthesia services can eliminate the problems caused by an active gag reflex. Extensive Treatment: Completing dental treatment under general anesthesia can eliminate the need for multiple visits. Special Needs: Individuals with physical or mental disabilities can achieve complete dental care in a comfortable setting. Sleep dentistry provides a safe and effective way for special need patients to receive the dental treatment they need. 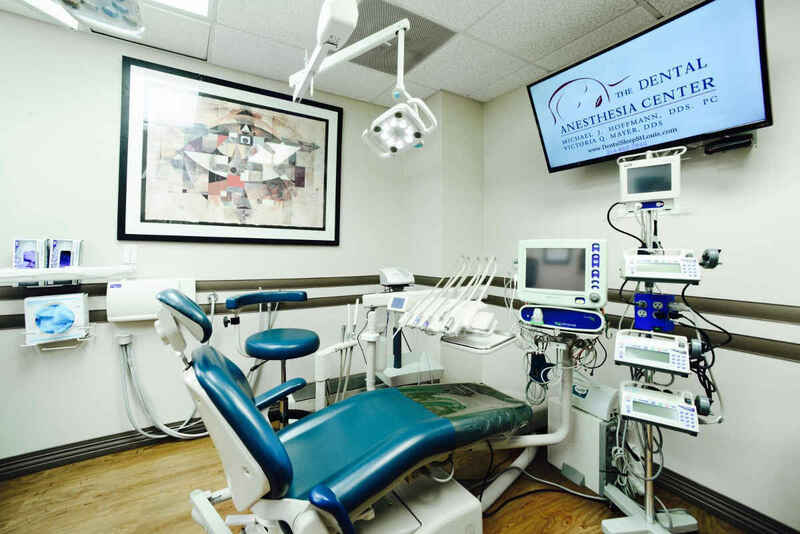 Patients will have a complete exam, full mouth series of x-rays (pictures of teeth), and a thorough cleaning while under general anesthesia. Young Children: Children who are experiencing anxiety and are unable to cooperate for needed dental treatment can benefit from anesthesia services.